Our 2005 Boys have team training every Sunday--rotating time--in order to avoid weekly schedule conflicts. Team training is 2 1/4 hours long, with 3x 45 minute blocks targeting different physical/technical/tactical aspects of the game. There is also a Skills Training on Saturday mornings, which focuses on developing individual and small-group skills and concepts. These are optional, but encouraged. 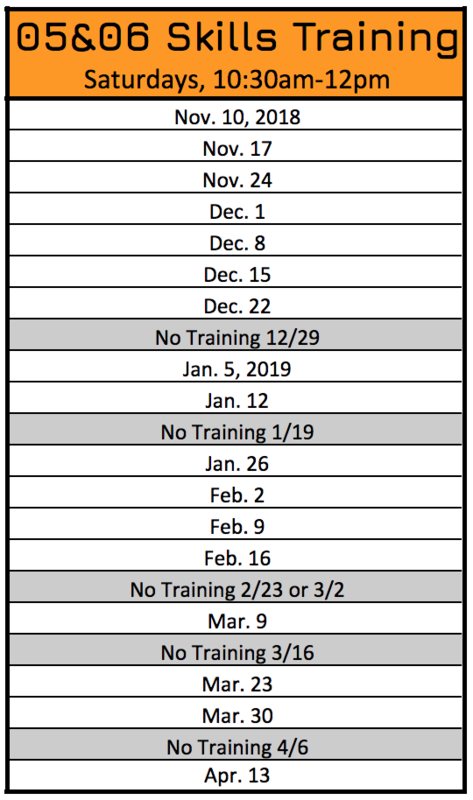 In addition, all players traveling to Holland in April will have a 2 hour training every Tuesday from 4-6pm. 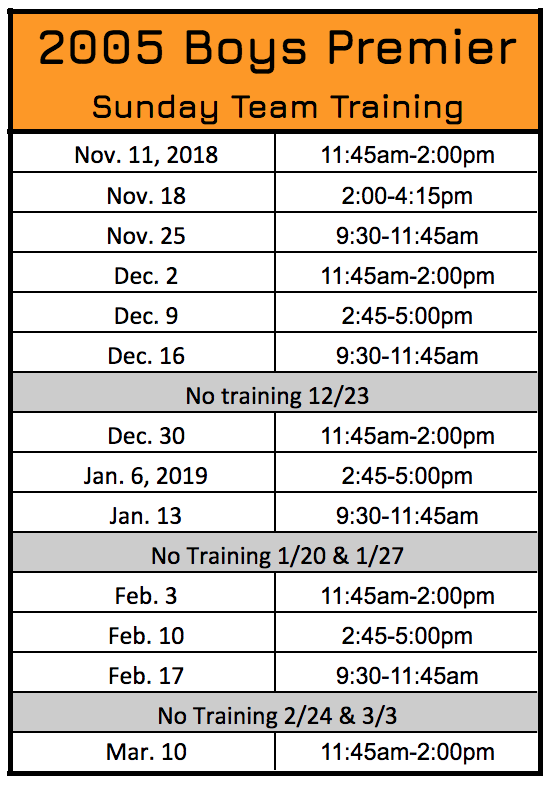 *NOTE: Team training times are only published through Mar. 10 because we want to be training outside as much as possible starting at this point. However, our partners will not allow us to schedule this far out. The remainder of the schedule will be posted early February once we're able to secure time. The 2005 Boys will enter two teams into the Far Post U14 Boys Futsal Leagues on Monday nights. Your team manger will have sent information on this and will sign your team up. You can find the schedule under the INDOOR LEAGUES tab on our website navigation bar, then click LEAGUE SCHEDULES & RESULTS.